Product prices and availability are accurate as of 2019-03-18 17:42:17 UTC and are subject to change. Any price and availability information displayed on http://www.amazon.com/ at the time of purchase will apply to the purchase of this product. 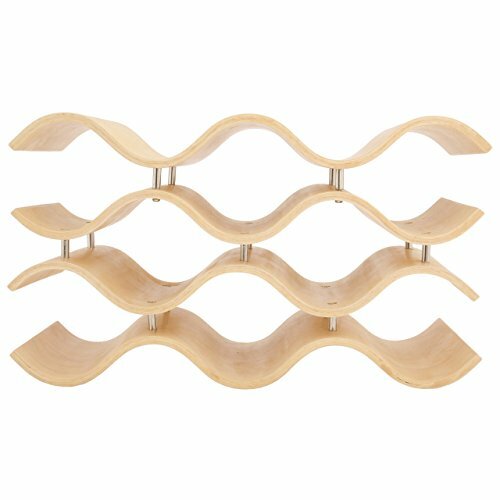 The Oenophilia Bali 12-Bottle Wine Rack features a design inspired by contemporary Indonesian furniture. 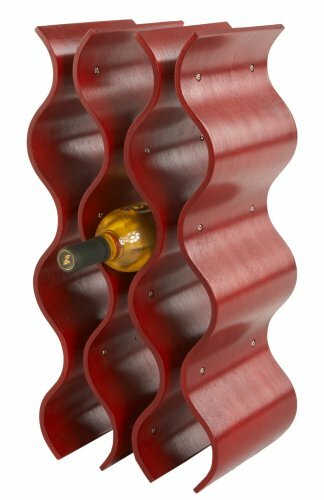 This wooden wine rack is available in your choice of crimson red, aquamarine or ebony finish. 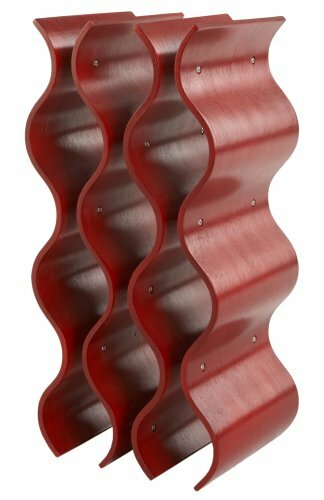 The crimson finish has a deep red hue that complements any decor. 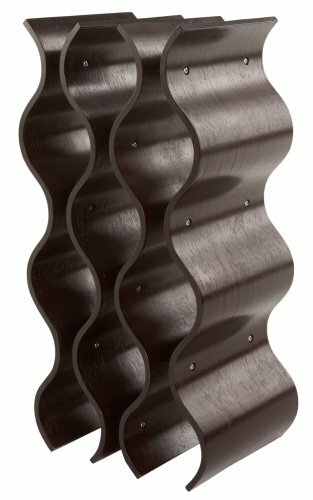 The ebony finish is a deep, rich blackish-brown hue and has a bit of a mahogany tint in certain light. 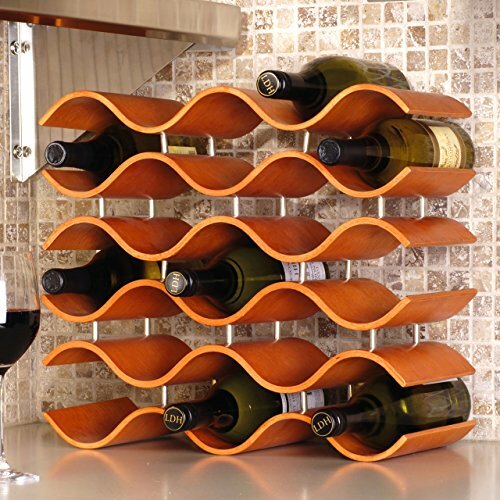 Its graceful waves create compartments for 12 bottles of wine. Add that special splash of style to your kitchen or dining decor with this unique wine rack. Fully assembled. About Oenophilia With a name Greek in origin, meaning ''the love of wine,'' Oenophilia delights in fulfilling its mission to bring together products that allow others to love wine with the passion that Oenophilia does. After creating their first product in 1983, the Oenophilia team has continued to produce and manufacture superior wine accessories, and is known as one of the leading wholesale suppliers of wine accessories and gifts in the U.S. Although located in Hillsborough, NC, traveling the world has allowed Oenophilia to provide customers with a premium, extensive collection of wine accessories, including openers, wine racks, glassware, and gifts. Oenophilia carries their signature line of original designs and packaging, as well as exceptional brands such as Vacu-Vin, Metrokane, Rogar, Srewpull, and Spiegelau. Bringing eclectic wine products, competitive pricing, and responsive customer service to the table is the Oenophilia team's way of sharing their passion while achieving their goal of providing customers with a luxurious one-stop shopping experience. 12-bottle capacity. Finish options. Durable yet stylish Indonesian wood. Modern design with traditional finishes. Measures 21W x 7.5D x 10H inches.